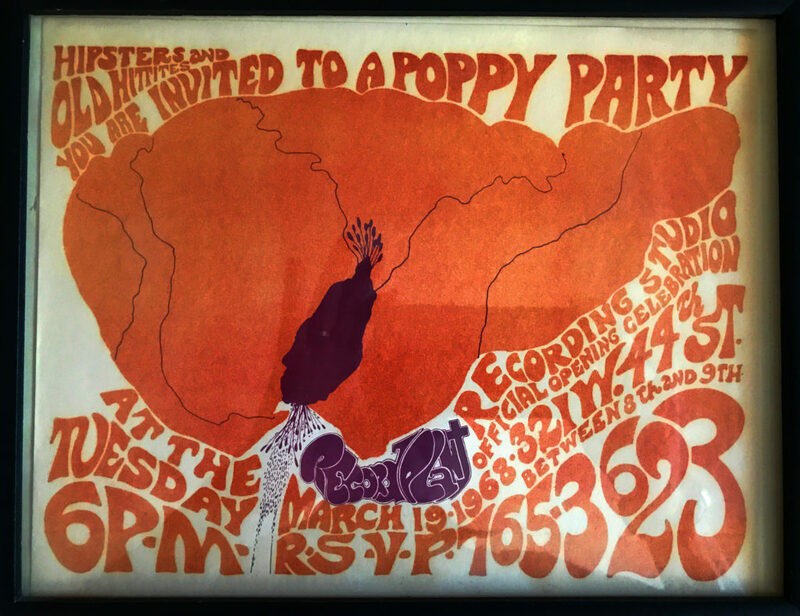 The March 19, 1968 opening of The Record Plant in New York City was planned to be a rock star jam extravaganza. Top music executive Tom Wilson called every musician and producer in town to stop by; Chris Stone made the calls to the money guys; Gary Kellgren scrambled around the clock for weeks with a team of after-hours Broadway carpenters to complete the job on time. As the date approached, Kellgren finally broke the news to Stone that the studio wasn’t ready. The gear was working but there was something wrong with the sound. Kellgren promised that he could make all the lights on the console work and spin the reels on the tape machines, though they wouldn’t be passing music. The opening was on. Stone arrived late for the party from a business appointment, still dressed in his Revlon uniform of black suit and black tie. Kellgren, already in full party mode, scoffed at Stone’s attire and joked that he looked more like a narc than a studio owner. Marta Kellgren had handsewn a shirt with ruffled collar and cuffs and satin tunic for Gary to wear; his hair was slicked across his forehead and, as always, a menthol cigarette was lodged between his fingers. Kellgren was uncharacteristically ebullient and outgoing as a parade of business types came in for a drink and a tour. There were potential investors, friends from Revlon, record company execs, and acquaintances from Ancky Revson’s new hippie social circle. But no rock stars. No Hendrix. Nobody had the guts to tell Kellgren that Hendrix had a gig up in Ottawa, Canada that night. As the night wore on, Kellgren became increasingly depressed. He wondered if all the musicians in town were over at the Fillmore East that Bill Graham had opened just ten days earlier, giving New York City’s its first major rock concert emporium, and featuring a much-larger version of the high decibel sound system and variable concert lighting that Kellgren had installed in his new recording studio. Stone noticed that his new partner was getting agitated. He was the one who had to break the news that Hendrix had a gig out of town. Fortunately, Ancky had called and told Stone that she was on her way over with a more-than-acceptable substitute, Beatle guitarist George Harrison. Unfortunately, Stone heard her wrong. Ancky showed up a half-hour later, not with George Harrison, but with actor George Hamilton, the uber-tanned movie star-turned-crooner who toured the studio wearing the same open-necked, Nehru jacket he would wear the following Sunday night on the Ed Sullivan Show. Confrontations were far and few between the partners over the years. Without ever saying it, they instinctively knew that this was about the money – and, somehow, someway, they were going to make plenty of it together. They usually worked in parallel, staying out of each other’s way. Besides, it was really Kellgren’s business; at the time, Stone only owned 10 percent of the new venture; Wilson had another 10 percent, and the remaining 80 percent was split evenly between Ancky and Kellgren. However, everyone knew that the Record Plant was Gary Kellgren. And with Stone involved, Kellgren could afford to be Gary Kellgren; he could act as outrageous as he wished, knowing there was always someone who could pay the bills, clean up the mess, fix the problem, or make things work. The energy at the studio opening ramped up when the cast of Hair and a group of Go-Go Girls stopped by from the Cheetah nightclub on 53rd Street where they were performing. The new late night guests teased the straights and blessed the Record Plant as hippiedom’s new creative home. Wilson trotted execs from Warner ABC and MGM around the facility, pointing out the comfortable and casual vibe that Kellgren had created. Someone had a copy of the Beatles’ new single, “Lady Madonna,” that had just been released in the UK, and Kellgren demoed it over the control room’s massive twin 15-inch English loudspeakers. Both Kellgren and Stone knew that it was really Ancky’s party. Dressed elegantly in white dress and matching hat scarf, Ancky was thrilled by the excitement. 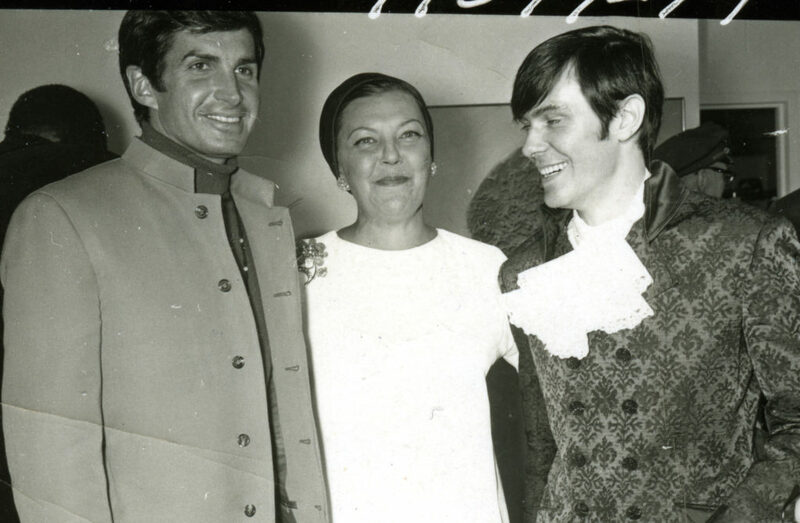 It was a very special time for her; the studio opening came right after the Ancky-backed Off-Broadway cast album of “Hair” won a Grammy Award and the rock musical was scheduled to hit Broadway. While her ex, Charles Revson, was busy building yet another, bigger yacht and publically flaunting his new trophy wife, Ancky was in the vortex of this colorful, high-energy youth culture. She owned a recording studio, so now all the handsome, young rock stars came to her. Without saying so, she thanked Stone and Kellgren for making her feel so young that evening; and each of them responded like young boys with a warm, kiss on both cheeks. Alone at last, Kellgren asked Stone to join him in the control room. Stone first mixed himself a martini and Kellgren cracked open a beer and lit up another cigarette. Well, I gave you a Beatle. Listen Stone, the parties are key. A recording session has to be one long party. All our openings have to be major, epic. Yeah, all our openings. There will be plenty more openings… and did I tell you…we’re going to need to go 16-track right away. Ampex has a new machine. Let’s get the place opened first. Just get this studio working first. Now, it’s working, it’s ready to go. We’ve got all the time in the world.